Senior Syrian military commander admits claims his country shot down 3 missiles in overnight attack were false, incident was 'false alarm'. Claims of a missile attack on the Syrian city of Homs late Monday night were the result of a false alarm, a senior Syrian official said Tuesday, contradicting earlier claims by Syria’s military that it had shot down three missiles fired at Homs. On Monday night, the Syrian news agency SANA claimed that three missiles were fired at the Shayrat airbase near Homs. The report did not specify which country Syria believed was responsible for the attack. According to the report, Syria’s anti-air defense system shot down all three missiles. Lebanese sources tied to the Hezbollah terrorist group claimed three more missiles had been fired at Dumair airbase near Damascus. 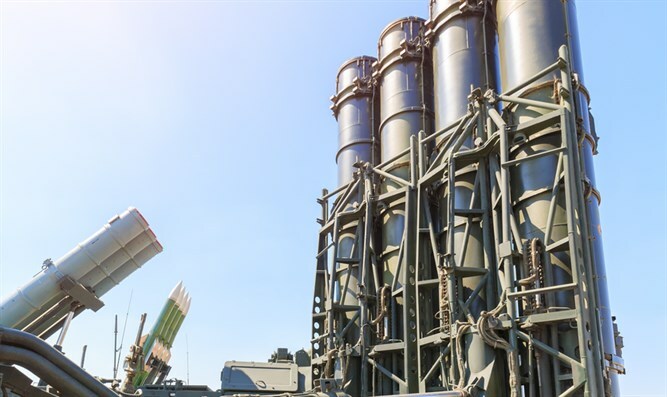 On Tuesday, however, a Syrian commander said on the condition of anonymity that the activation of his country’s anti-air defense system was the result of a malfunction, which prompted a false alarm. The commander claimed that the malfunction had been caused by a “joint electronic attack” by Israel and the US on Syria’s radar network.